Aaron Nigel Smith's solo debut weighs in on state of nation, world. Lake Oswego musician presents international album. March 19, 2019 - "In Our America" is Number 1 on Billboard Magazine's Reggae chart!!! Lake Oswegan Aaron Nigel Smith released his debut solo album, "In Our America," in partnership with Tuff Gong International March 8. Smith is an educator and established musician, known for the Emmy Award-winning PBS show "Between the Lions." He also is the founder of 1 World Chorus, a nonprofit serving youth in the United States, Kenya and Jamaica. 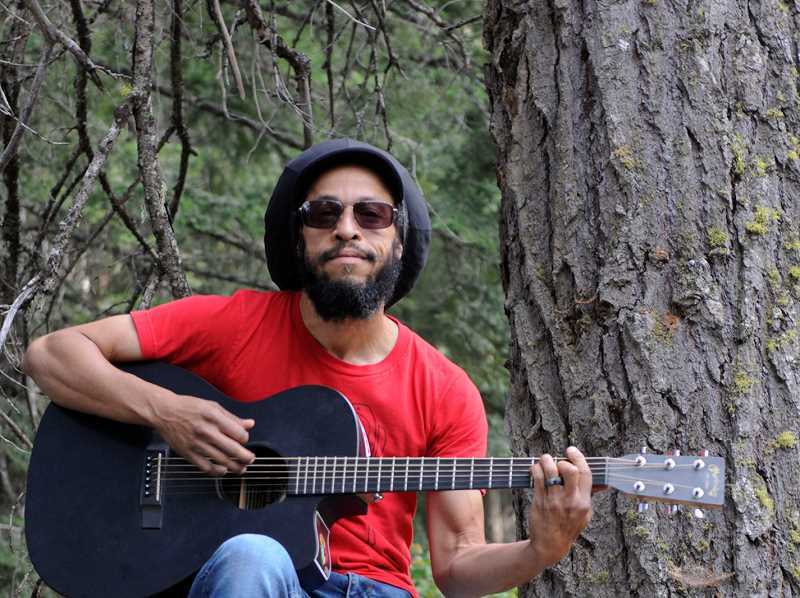 Smith has produced and released five children's albums, including "1 World Chorus Celebrates Bob Marley," in collaboration with Ziggy Marley's Tuff Gong Worldwide record label. Tuff Gong International is the name associated with a number of businesses started by the late Bob Marley and his family. In 2017, Smith was designated an Official Bob Marley Ambassador by the Marley Foundation and performed at the Bob Marley Museum as part of the annual Bob Marley birthday celebration on Feb. 6. Produced by Jubba White of Dubtonic Kru, "In Our America" is a collection of songs inspired by events in the U.S. and around the world. "I feel compelled to speak up about the state of our country and our world," Smith said. "Especially political changes in the last two years." This is the second collaboration between Smith and White's White Stone Productions. "It's a joy to work with the very talented Jubba White to create the sound for this project," Smith said. He has been a serious musician since age 11. As a young boy, he performed at Carnegie Hall, Lincoln Center, Kennedy Center and Westminster Abbey and Essex Cathedral in England. Since then, he has performed professionally throughout the United States, South America, Europe and Asia. Today, Smith is an award-winning recording artist and prolific songwriter. His accolades come from a lifetime of outstanding achievements. Early in his career, Smith worked teaching children of all ages. In 2002, he founded the FUNdamentals of Music and Movement, a fun approach to music education for preschool children. He grew FUNdamentals into a national program and sold the program years later. In 2005, Smith's album "Let's Pretend" won the NAPPA & IParenting Media Awards. Three years later, he joined the cast of the Emmy Award-winning PBS children's show "Between the Lions." Smith collaborated with Ziggy Marley on a Bob Marley children's record, "B is for Bob" in 2009. The following year, his album "Everyone Loves to Dance" received a Parents' Choice Award. That same year, Smith and his wife, Diedre, formed the nonprofit 1 World Chorus to build networks internationally through group singing. More than 5,000 youth in Oregon, California, New York, Kenya and Jamaica have participated in 1 World Chorus programs. In 2012, 1 World Chorus released the album "Welcome to the Village," and once again received critical acclaim from People magazine and USA Today. The project was recognized as one of the best children's releases of the year and received a Parents' Choice award. Smith was welcomed in 2013 by the Right Brain Initiative and Young Audiences to their teaching artist rosters. He was named a Sunburst Teaching Artist of the Year, and that summer launched the Rox in Sox Children's Music & Book Festival. The one-day, free charity event has been held in Portland, Las Vegas and Jamaica, and has distributed thousands of socks, shoes and backpacks to youth in the U.S., Kenya and Jamaica.